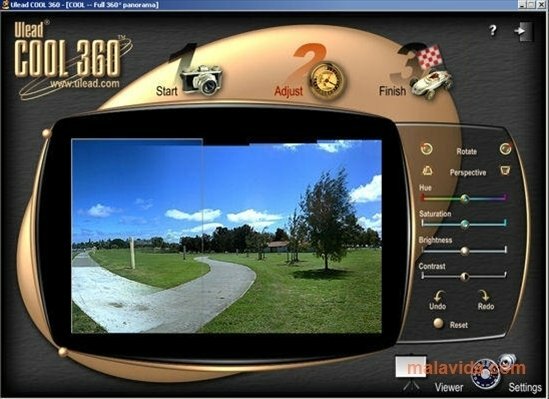 Ulead Cool 360 is a tool that used together with a digital camera, that more or less everybody has nowadays, will allow us to create a 360º photo in just a few minutes. This software is a panoramic photograph creator and viewer, that is very easy to use, and that offers really incredible results. The truth is that to get a really good panoramic photo it's advisable to have a tripod to make sure that the camera is always at the same height, but thanks to Ulead COOL 360 this will no longer be absolutely necessary, because the software will take care of fitting together all the photos. 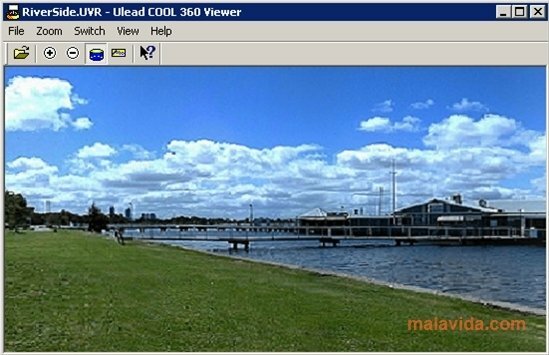 Ulead COOL 360 includes two tools, a 360º image/panoramic creator and a viewer. The creator will allow us to add as many photos as we want so that it can generate the panoramic view. Once generated, we will be able to adjust each photograph as much as we want, so as to manage the best panoramic effect. In what regards to the viewer, we'll be able to easily browse through any 360º image. Furthermore, the Ulead COOL 360 creator and editor has a graphical interface that will allow us to easily change the position, enhance the color, saturation, brightness and contrast as well as to improve the perspective. This editor only works properly on Windows XP and earlier systems. The trial version can be used for 15 days.